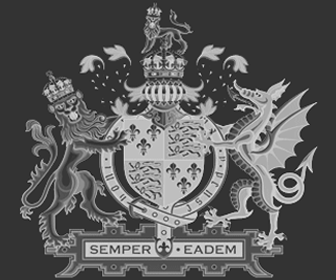 The English Elizabethan Era is one of the most fascinating periods in the History of England. The Elizabethan Era is named after the greatest Queens of England - Queen Elizabeth I. 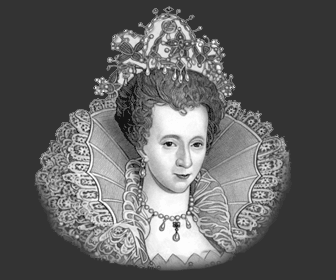 The Elizabethan Era is not only famous for the Virgin Queen but also for the era itself - Great Explorers, such as Sir Francis Drake and Walter Raleigh. The era of the very first Theatres in England - William Shakespeare, the globe Theatre and Christopher Marlowe! The people of the era - the Famous Figures who featured in the history of this era such as the Queen's love Robert Dudley, the sinister Dr. John Dee, the intrigues of the spy-master Sir Francis Walsingham and the Queen's chief advisor Sir William Cecil (Lord Burghley). Religion - Politics - Executions - Crime and Punishment all played their part in the Elizabethan era. And so did the commoners. What was their life like? Entertainment, clothes, food, drink, sports, music, education, language, medicine and marriage customs and culture of the era. Facts and information about all of these subjects and the history of the era are covered as detailed in the sections below. The Elizabethan Era Sitemap provides full details of all of the information and facts provided about the fascinating subject of the Elizabethan Era. The section and era covering Elizabethan England provides the History, Facts and Information about the Religion, Laws, Tortures and Punishments including executions in the Elizabethan Era. The section and Queen Elizabeth I provides the History, Facts and Information about the life of Queen Elizabeth. The Biography and Timeline of Queen Elizabeth covers her family, her childhood, the scandals and danger that surrounded her as a young Princess and her succession to the throne of England and the commencement of the Elizabethan era. The court, her favorites and the dangerous politics of the Elizabethan era. The section and era covering Elizabethan Times provides the History, Facts and Information about the life and times of the famous people who lived during the Elizabethan Era. The Famous Elizabethan Women of the era and the famous men. There are Biographies, Pictures and Timelines about the life of famous Explorers, Courtiers, Politicians, Dramatists and Poets who lived during the Elizabethan era. The section and era covering the Elizabethan Age provides the History, Facts and Information about Elizabethan Weapons and the English Navy. It also provides facts and information about Elizabethan architecture including the Elizabethan mansions, houses and the theatre. The section and era covering Elizabethan Life provides the History, Facts and Information about the daily life of the Elizabethans. The life of men and women during the Elizabethan era - occupations, entertainment, customs, weddings, marriages and Family life. The Doctors, Medicines, Cures and Illnesses which were endured by the people who lived during the Elizabethan era. This section covers Elizabethan words, letters, language, education together with an Elizabethan Online Dictionary to help with the translation of literature including the famous play of William Shakespeare. The schools and Universities of the Renaissance era. On a lighter note there is even a dictionary of insults used during the Elizabethan Era! The section and era covering the Elizabethan Period provides the History, Facts and Information about Science and Technology, Inventions, Astrology, Superstitions, Elizabethan Ghosts and Witchcraft and Witches during the Elizabethan era. This comprehensive section and era covering the Elizabethan Period provides the History, Facts and Information about Elizabethan Clothing covers all aspects of Renaissance clothes and Fashion. Upper Class Fashion for men and women. Hair styles, Make-up, Jewelry and even Elizabethan Wedding Dress. Read how the Elizabethan Sumptuary Laws dictated what Elizabethans were allowed to wear. And the Meaning of Colors - symbolic, religious and biblical. The Dyes, Materials and Fabrics used in Elizabethan clothes worn during the Elizabethan era. The section and era covering Elizabethan Sports provides the History, Facts and Information about the sports and games played during the Elizabethan era. The subjects covered include Fencing, Tournaments, Leisure and Entertainment, Games, Gaming and Gambling, Bear & Bull Baiting, Hunting and Hawking during the Elizabethan era - the Elizabethans knew how to have fun. The section and era covering Elizabethan Music provides the History, Facts and Information about Renaissance Music, Musical Instruments, Dance, Composers and Musicians and the Masques enjoyed during the Elizabethan era. The section and era covering Elizabethan England provides the History, Facts and Information about the Food and Drink consumed during the Renaissance Era. The Food and Drink, Feasts and Banquets and Peasant Foods eaten by the people during the era. The section and era covering Elizabethan Recipes provides a fascinating insight into Renaissance cooking. The names of the old Renaissance recipes say it all. Pig Pie, Baked Swan and Goose Pudding. The Old Elizabethan Dessert recipes are more to our taste! The Renaissance period was indeed the Age of Exploration. The English, Portuguese and Spanish Explorers. Elizabethan Explorers Timeline provides the History, Facts and Information about the Age of Exploration. There are Biographies, Pictures and Timelines about the life of the famous European Explorers, Conquistadors and Pirates of the Elizabethan era. This detailed account of the events leading up to and the defeat of the 'Invincible Armada. The roles played by the great seamen of the era including Drake, Raleigh, Gilbert and Hawkins. These and other brave men were responsible for ensuring that the Golden Age of the Elizabethan era continued. Each section of this Elizabethan Era website addresses all topics and provides interesting facts and information about these great monuments to bygone times. The Sitemap provides full details of all of the information and facts provided about the fascinating subject of the Elizabethan Era.